Berenice Bejo & Stacy Martin hit the red carpet at the premiere of 'Redoubtable' during the 2017 BFI London Film Festival on Saturday(October 7th) in London. 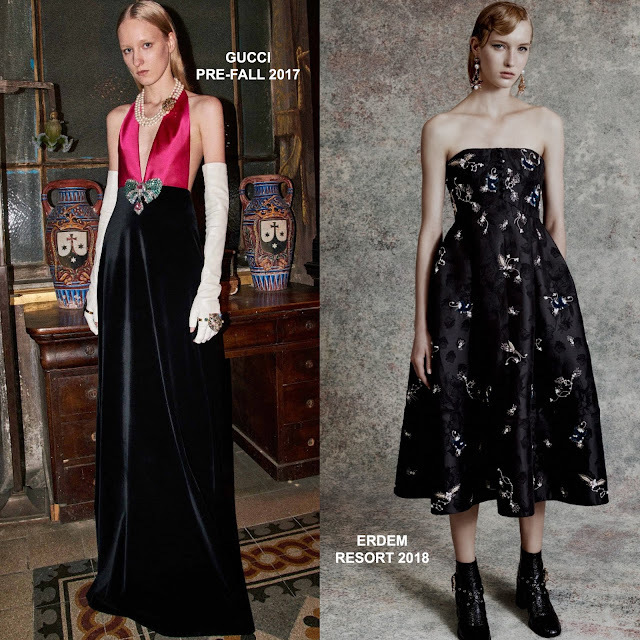 Berenice Bejo wore a GUCCI PRE-FALL 2017 two-tone halter gown which featured a satin fuchsia top and a black velvet floor length skirt with a bow embellished waist. Side swept waves, smokey eyes and CELINE DAOUST jewelry finished up her beautiful look. Stacy Martin wore a ERDEM RESORT 2018 black staples printed embroidered dress which stopped just above her ankles. Given the length, her black pumps worked nicely with her dress. Waves with bangs and minimal make-up finished up her look.